Granart - Solid Ideas ! The WIDEST range of colours in the world in the GranSaga range. These solid surface sheets are microbe free, stain and chemical resistant and can be used on ANY surface. 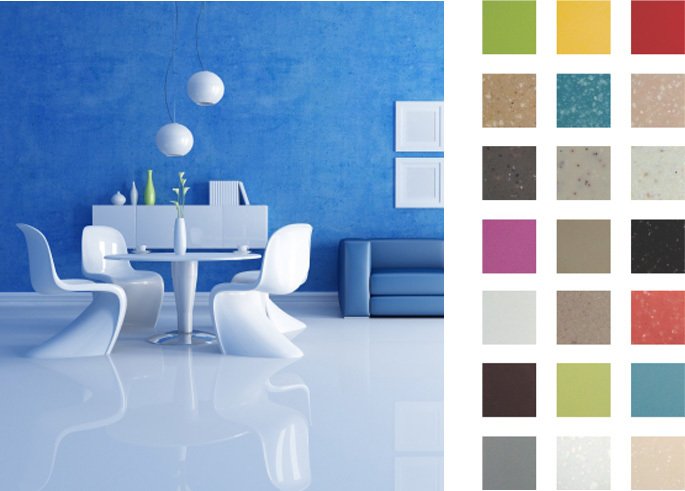 The GranAura range comprises premium solid surfaces in over 200 colours! 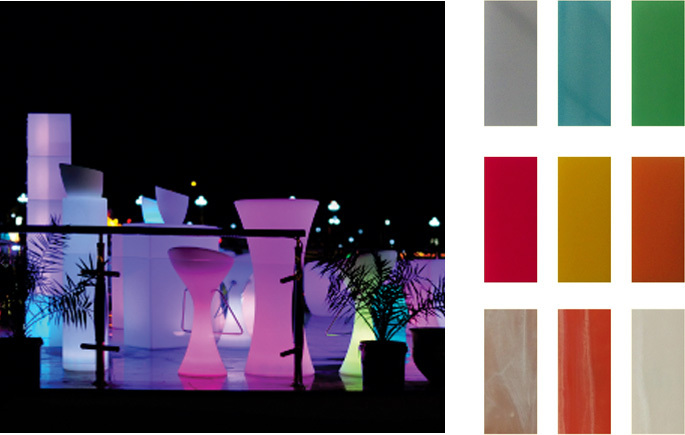 The translucent property of these products allows light to pass through partially, giving your surfaces a diffused glow. 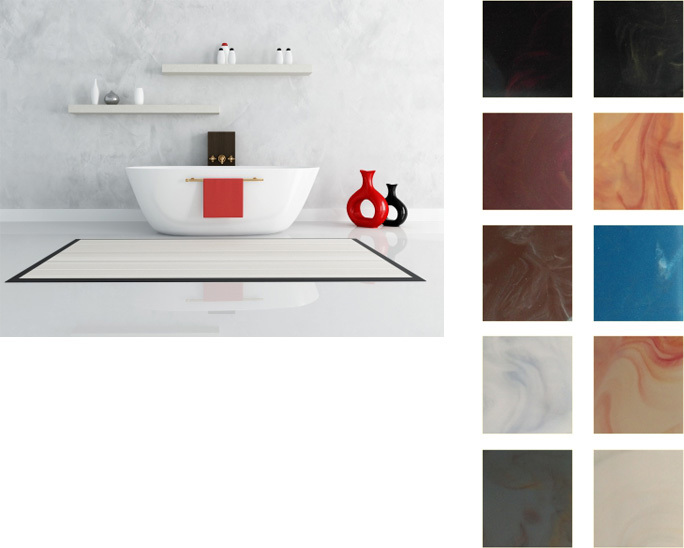 The world’s Largest range of thermoformable marble finishes in the GranRoyale range of products. These surfaces can transform any area into a classy, elegant space! The world’s FRONTRUNNER in veneers in Solid Surfaces, our GranVeneers range is specifically designed with sufficient flexibility, tolerance and movement because of their application as vertical and exterior cladding. These products are aesthetic and easy to maintain and can be used for staircase walls, cabinet fronts, partitions, cubicles and other such applications. Gran Vaneer recommended for vertical applications only. 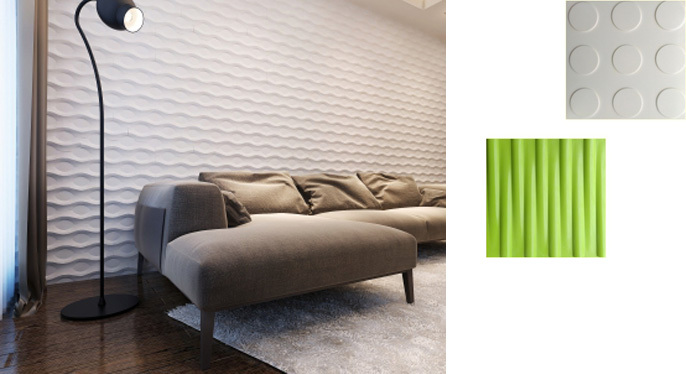 GranEdge comprises a range of exclusive patterned facades and 3D panels that can be used to create solid structures and to give your walls a unique look. These products are available in various colours and are chemical, stain and scratch resistant as well as microbe free. 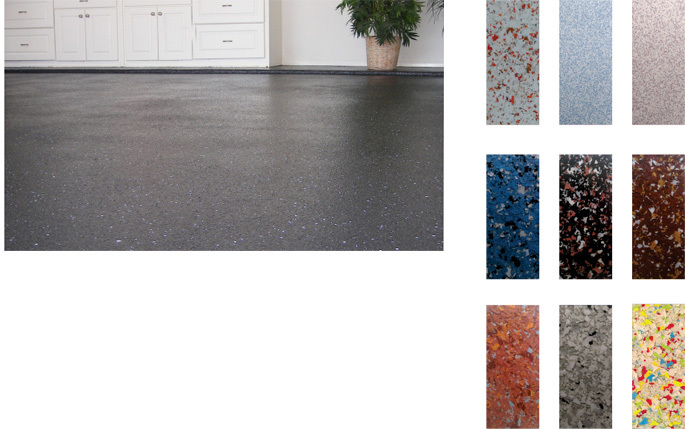 GranVista comprises a range of UNIQUE, decorative, joint-free flooring surfaces. The products are abrasion safe, highly chemically resistant, seamless, easily maintainable and can be customised based on colour. Tell us what your design dream is. And we’ll dream up the surface to make it come true! 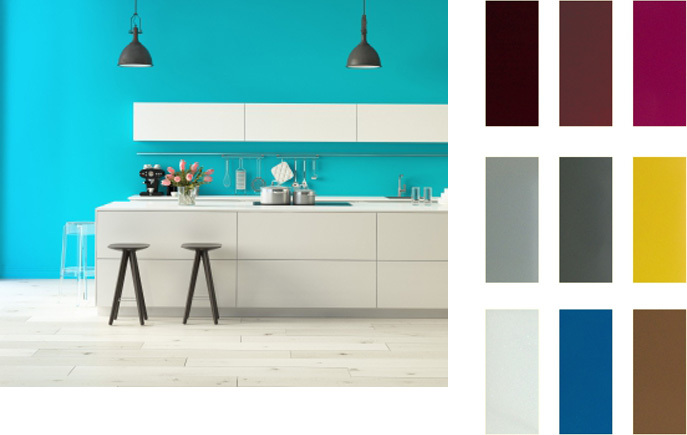 Brighten up your living room with the wide range of colours of Granart’s Solid Surfaces.